The beginnings of the Faculty of Criminal Justice and Security go back to 1973 when the College of Public Administration in Ljubljana established a department to carry out study programmes in internal affairs. As it developed to meet the growing needs of the state, it soon became clear that an independent school was needed, which necessitated the founding of the School of Internal Affairs in Ljubljana. In 2003, the College became a full member of the University of Maribor. In 2006 it was renamed the Faculty of Criminal Justice and Security. The vision of the Faculty is to qualify its graduates to legally, professionally, ethically, and efficiently apply their expertise to ensuring the internal security of the state and its citizens and, hence, contributing to the development of knowledge and science aimed at safeguarding safety and security in a democratic society while protecting human rights and freedoms. More information can be found on: http://www.fvv.um.si/en/. Gorazd Meško has worked at the Faculty of Criminal Justice and Security since 1992. He teaches criminology, victimology, penology, criminology and crime control policy, and comparative criminology. He has conducted numerous national and international research projects, and organised national and international criminological conferences. He has authored articles published in renowned international journals and is the managing editor of Journal of Criminal Investigation and Criminology. 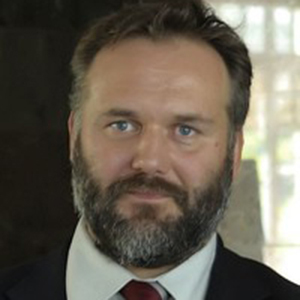 He has edited a variety of books, including: Understanding and Managing Threats to the Environment in Central and Eastern Europe (Springer, 2011), Handbook on Policing in Central and Eastern Europe (Springer, 2013), and Trust and Legitimacy in Criminal Justice – European Perspectives (Springer, 2015). He also served as a guest editor of special issues of international criminology journals, such as Policing – An International Journal of Police Strategies and Management (2009), The Prison Journal (2011) and Crime, Law, and Social Change (2013). His current research interests include policing, local safety/security, factors of crime/criminal behaviour, crime against the environment and legitimacy of criminal justice.